My time here at Well Plated has been filled with surprises: two-dollar poster board is legitimate photography equipment; a corner of the internet can become a passion; if you post a recipe, real people will actually make it. My biggest blogging surprise, however, isn’t the fact that I regularly climb on furniture to take photos or hoard white dishes of all sizes—it’s that I met some of the best women I know, women I am blessed to call friends, online. 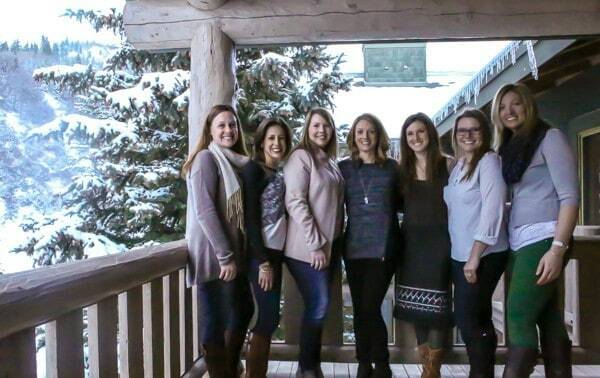 This past weekend I joined Becky, Lauren, Annalise, Meagan, Megan, and Liz at the fabulous Deer Valley Resort in Park City, UT. We spent three straight days relaxing, giggling, sipping wine, and enjoying the wonderful activities (and food!) that Deer Valley has to offer. 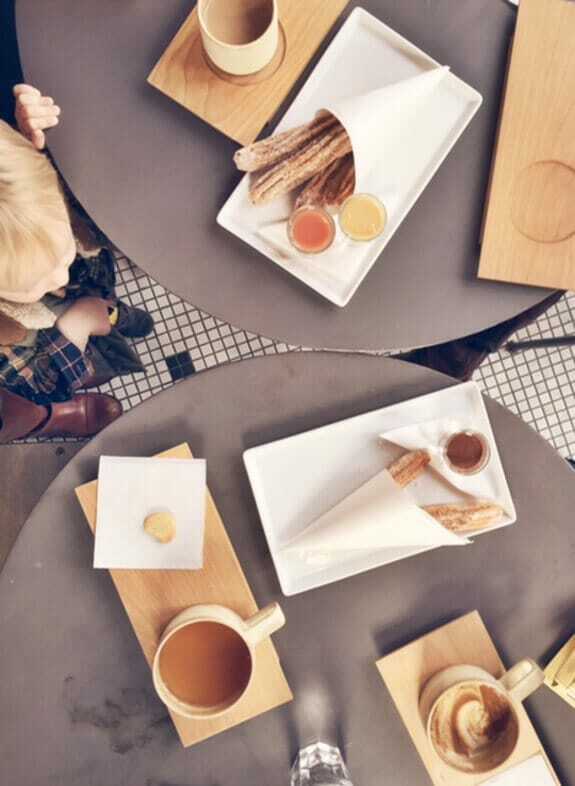 We rendezvoused in Salt Lake City, where locals Becky and Annalise showed us a few of their favorite spots around town, starting at charming La Barba coffee shop, home of the best tea, lattes, and churros I’ve ever tasted. 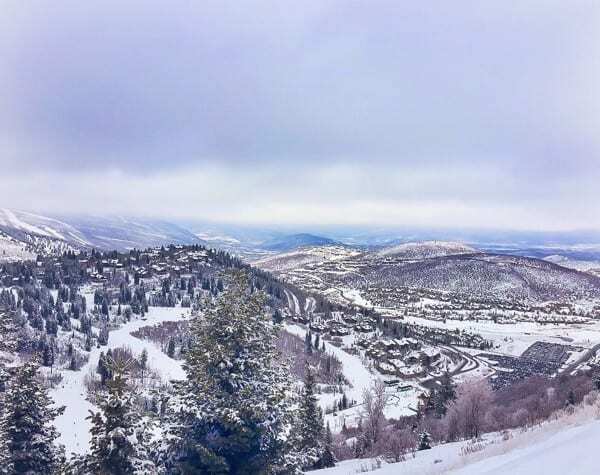 From Salt Lake, it was an easy 30-minute drive to Deer Valley Resort. 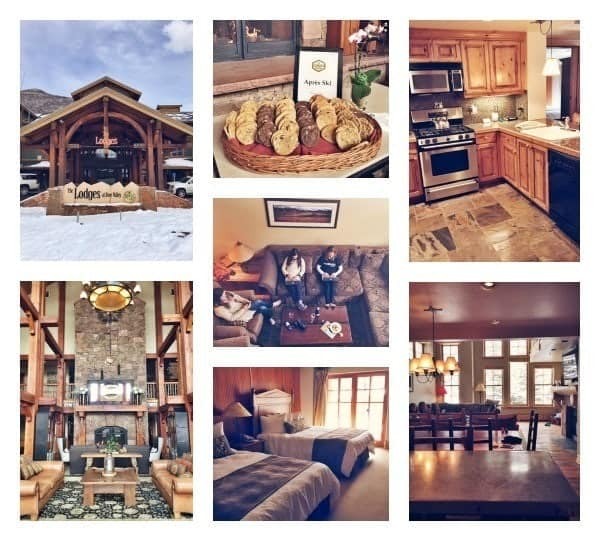 Deer Valley offers a wide range of housing options, and we had the ideal girls’ weekend set up: spacious condos at Lodges, perfect for lounging, chatting, and cooking too. 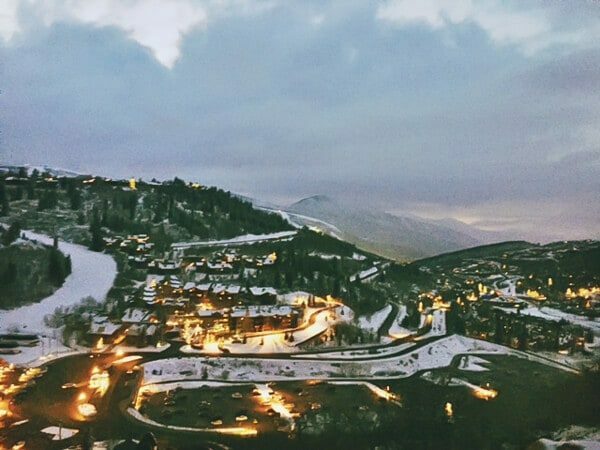 Deer Valley Resort is a must-visit for any foodie. 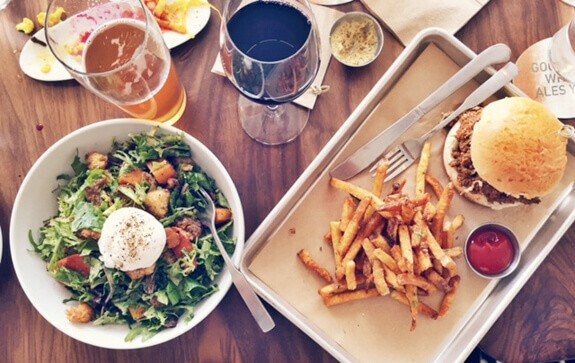 Our weekend was filled with fantastic dining experiences, starting with dinner at Fireside Dining. 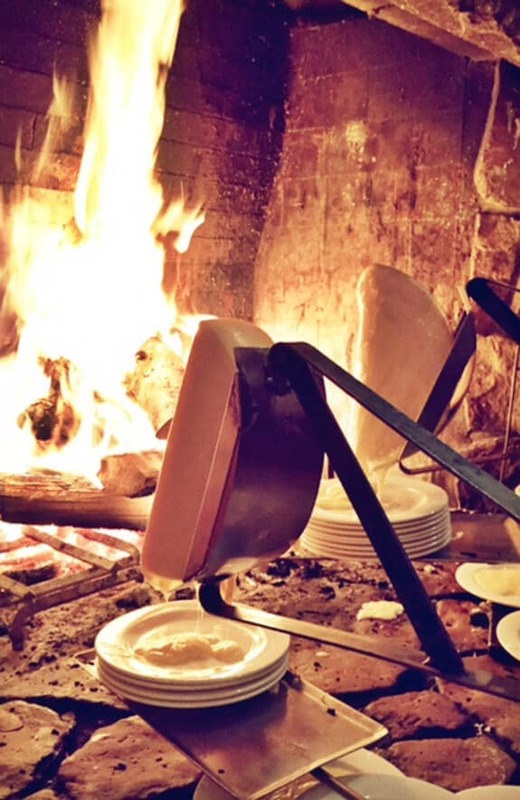 The moment I spied the enormous wheels of raclette (a gooey, nutty alpine cheese) melting directly onto dinner plates beside a roaring fire, I knew I was about to fall deeply, madly in love. And so I did. As if the servings of melted cheese, accompanied by all manners of house-made charcuterie, breads, and mustards were not meal enough, Fireside offers three additional courses, and each is spectacular. From legs of lamb twirling over an open fire, to vibrant salads, to a bubbling pot of chocolate fondue, I was lost in a food paradise. I also made a friend at Fireside. 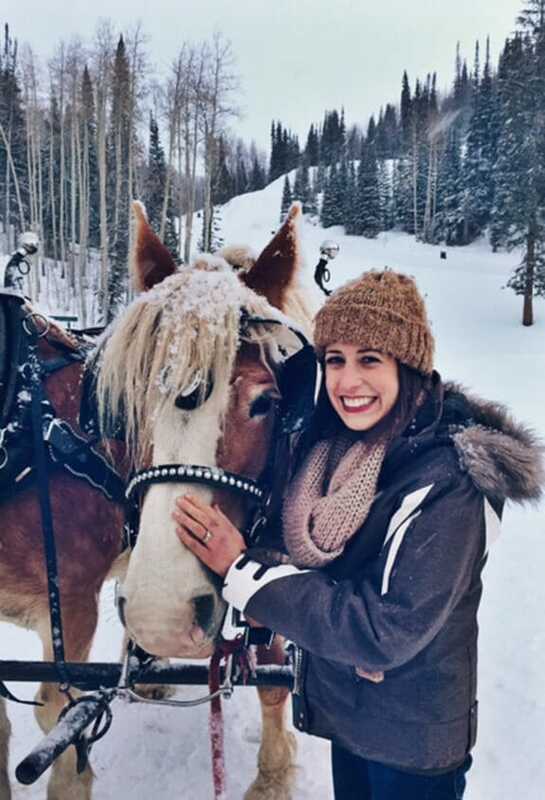 Meet sweet Anne, one of the Clydesdales at Deer Valley, who later took us on a sleigh ride. Little-known fact: sleighs can spin donuts in the snow. I recommend it. The next morning, I headed out to the slopes for what would be my first real downhill skiing in 15 years. As I craned my neck upwards to the mountain peaks, I was both exceptionally excited and exceptionally nervous. 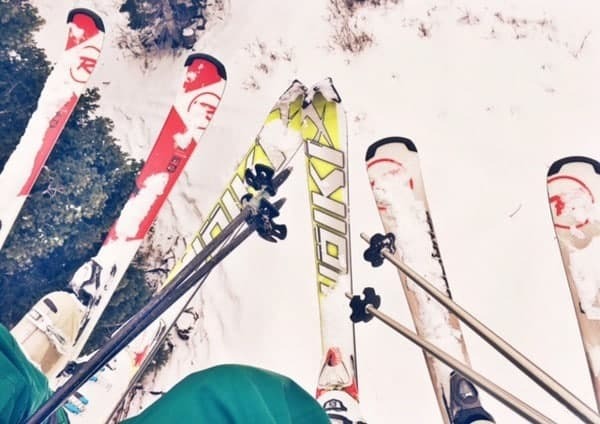 Fortunately, any unnerving visions I had of myself skidding onto my belly off of a mountain were immediately assuaged by Nick, my Deer Valley Ski School instructor, who was incredibly helpful and patient. By the end of my second morning lesson, I was able to comfortably ski all of the beginner-level slopes (green for you mountain folk), and even a few of the intermediate (blue) ones too. 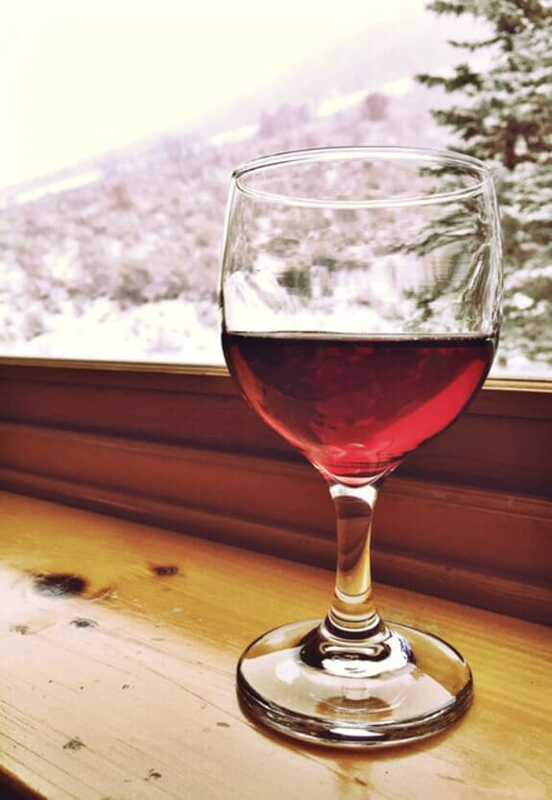 Even at a beginner’s level, skiing works up a serious appetite. After our first lesson, we skied right up to the Royal Street Café, where I enjoyed one of my favorite meals of the trip: a crab tower, turkey chili, and ahi tuna tacos, all washed down with a Blueberry Mojito (or two). 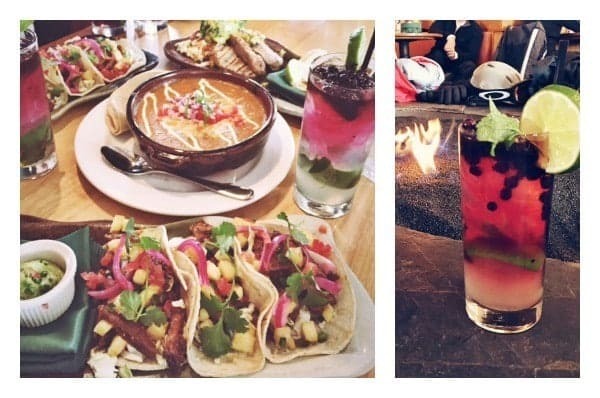 Honestly, the mojito alone is reason enough to visit Deer Valley. I was a bit nervous serving a room full of incredibly talented food bloggers, but the evidence suggests I passed: we ate every last one. 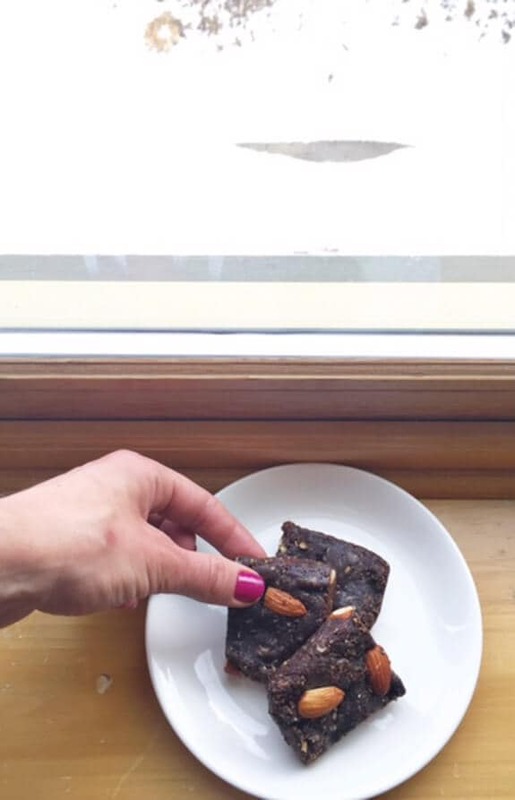 Since women cannot live on brownie-flavored granola bars alone, Whole Foods Park City graciously provided us the most incredible selection of groceries. Every morning, I had a fresh berry granola parfait (cream top yogurt—it will change your life), and for lunch one day, the Park City Whole Foods chef arrived with the ultimate treat for a group of ladies who spend most of their free time cooking: he made us lunch. We had a gourmet grilled cheese spread, accompanied by tomato bisque soup. These were not your mamma’s grilled cheese sammies. We’re talking herbed Boursin+muenster+pesto, fig+brie+bacon, and the most gloriously gooey smoked gouda. 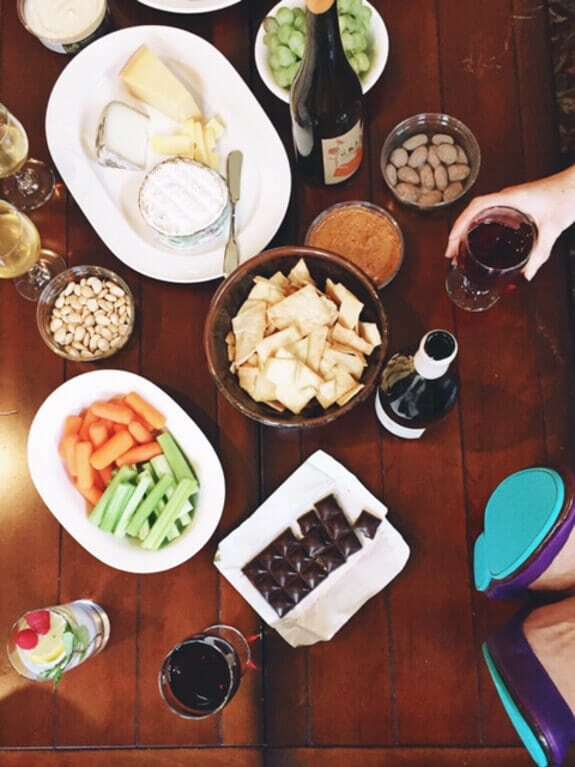 In addition to our lovely breakfasts and grilled cheese lunch, Whole Foods also equipped us with us with artisan cheeses, chocolates, dips, and veggies to create a beautiful après ski (after ski) afternoon spread. Many of the products were local to Salt Lake City and Park City, which gave me yet another tasty way to experience Utah. Did you spy those cute purple shoes in the picture above? 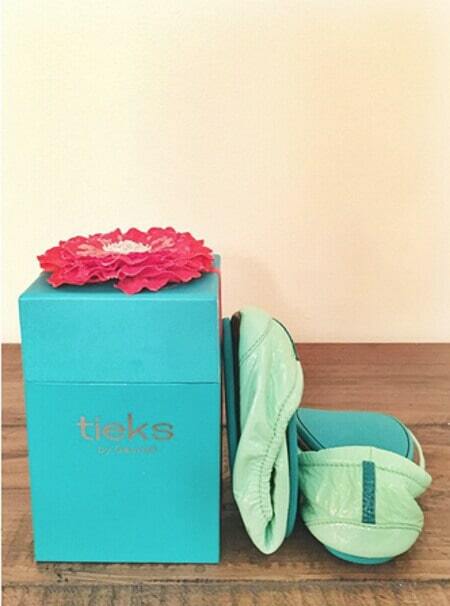 They are Tieks, the best thing to happen to this girl-on-the-go’s feet since the invention of the pedicure. I travel a lot (I’ve been out of town all but two weekends this calendar year), and packing shoes is my biggest downfall. I have an insatiable desire to pack multiple pairs, and they occupy an inexcusable amount of space in my suitcase. Tieks are now the only flat I feel like I need. They are ultra comfy and even fold up into a perfectly packable size, ideal for slipping into your purse or overstuffed bag. 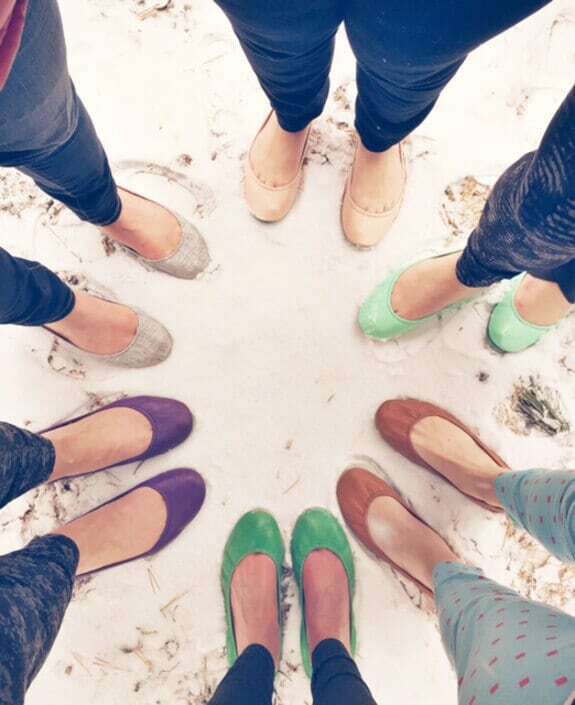 Honestly, the only thing I don’t like about Tieks is how hard it is to choose a color! I opted for the mint patent, but after seeing all of the different ones the girls picked, I’m starting to lust after other colors too. Surely every girl needs both a coral and cobalt in her wardrobe, yes? After a lazy condo afternoon, we headed out for another memorable Deer Valley dinner at The Brass Tag. 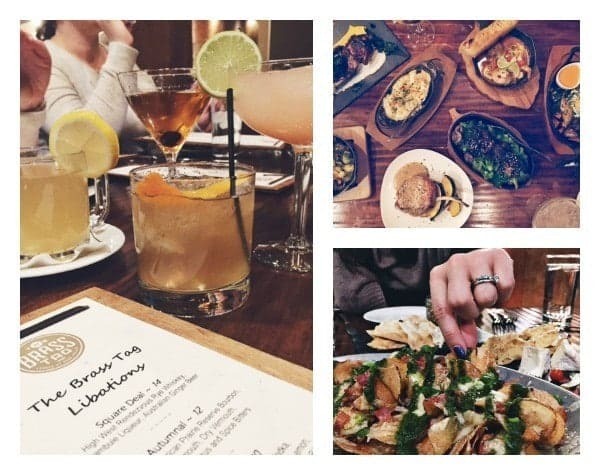 I keep trying to pick a favorite Deer Valley restaurant (which I’ve decided is impossible), but The Brass Tag knows the way to my heart: killer whiskey cocktails, fresh and flavorful salads, and sides that are worthy to be main dishes in their own right. Plus, almost everything is served in a skillet, which I find automatically makes food taste better. The only heartbreaking part about this rejuvenating weekend was saying goodbye. I feel so blessed to have experienced this stellar resort with some of the most talented and inspiring women that I know. Cheers ladies! And cheers Deer Valley. I hope to see you again soon. Who knows—if I come back with Ben, maybe I can even beat him on the downhill. A sincere thank you to Deer Valley for hosting us for the weekend and to Whole Foods for stocking our fridge. I purchased my Tieks with a gift card. As always, all opinions are my own. Thanks for reliving this wonderful weekend with me! posted in Brand Trips, Travel, U.S.
Oh my goodness the food!! That raclette contraption is a must have in every home!! melted cheese yes please! what a fun women, so many sweet faces! great post! What a fun trip! I loved seeing all of your pics. I was living vicariously through you and wishing I was enjoying the beautiful winter weather. Wow girl, looks like you ladies had such a fantastic time. 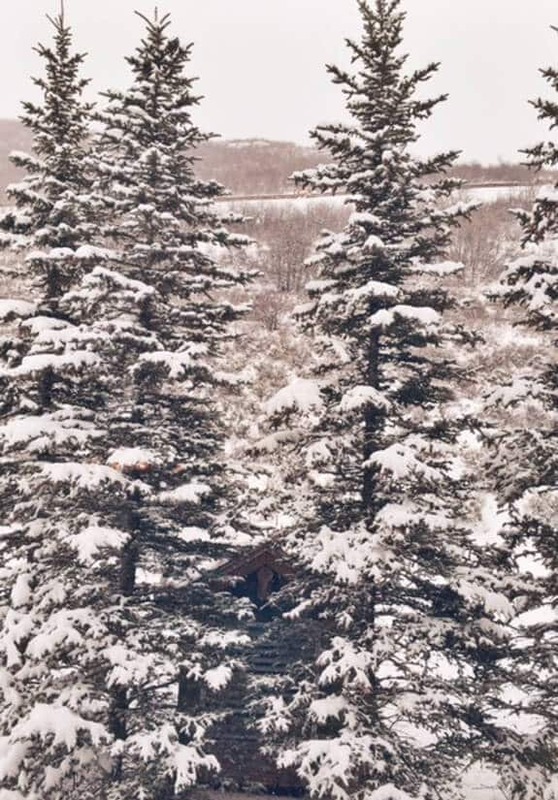 I’ve always wanted to take a little trip to Deer Valley! I grew up skiing in the midwest, and let me tell you, it’s nothing like actual mountains. That’s where the real fun is at. 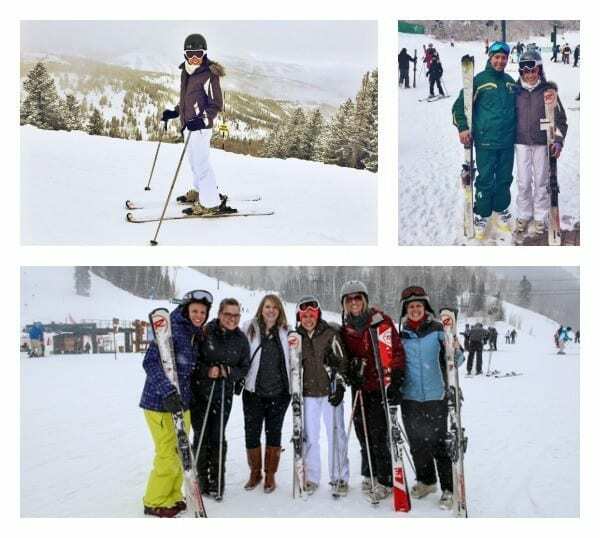 My heart is like aching to hit the slopes again somewhere, and Utah would be perfect! Also, can’t wait to check out those almond bars, they sound amazing! Funnnnnnnn!!!!!! Looks like you ladies had a blast!!!! I miss you like Woah already and it was such an incredible weekend to share with you and the girls. I mean it. INCREDIBLE! GAH!! Can we go back?!! I had such a wonderful weekend with you ladies. Can’t wait for NOLA 2016!! Great recap and it was exactly one week ago when I was so excited to have some much needed girl time. I would’t be able to pick the best food either from those pictures. It all looks amazing! Yay, what a fun trip! Love your recap and all your photos look incredible! It looks gorgeous there! Awesome. Luxury. Ski Trip. It’s so amazing I can’t form a sentence. How did “Wheels of cheese melting by an open fire…” not end up in a beloved holiday song? What an awesome girls weekend! I think that discovering the amazing people in the blogger community was a huge surprise to me too!